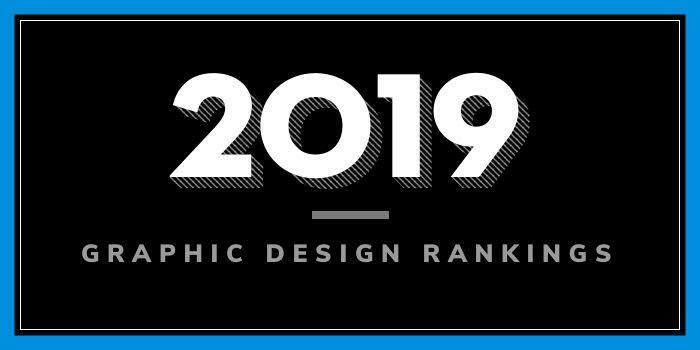 Our 2019 rankings of the top 10 graphic design school programs in Illinois. For an explanation of the ranking criteria, click here. The University of Illinois at Chicago (UIC) was formed in 1982 by the consolidation of two U. of I. campuses: the Medical Center campus, which dates back to the 19th century and the comprehensive Chicago Circle campus, which replaced, in 1965, the two-year undergraduate Navy Pier campus that opened in 1946 to educate returning veterans. Serving nearly 31,700 students, UIC is the largest university in Chicago. Students in the program “engage with complex problems and are asked to identify opportunities where design can intervene,” says the school. Studio work for the program “addresses graphic design fundamentals (typography and image making), design history and contemporary practices, research methods, user experience, and social responsibility.” Students also have the opportunity to refine their degree by choosing from an interdisciplinary selection of elective courses including advanced interaction design, photography, traditional printmaking, sustainability, and video, and the design of Ninth Letter, a nationally-distributed and award-winning literary arts journal. DePaul University (est. 1898) offers 300 programs of study across 10 colleges and schools and two campuses in Chicago. The school, which serves 22,437 students from across the U.S. and about 70 countries, offers more than 130 undergraduate majors and 175+ graduate programs through 10 colleges and schools. The College of Computing and Digital Media houses the School of Design, which offers a BFA and a Minor in Graphic Design. Students can expect to take courses such as Advertising Design, Animation for Non-Majors, Creative Studio Methods, Digital Illustration, Digital Still Photography, Editing, Illustration, Intro to Human-Computer Interaction, Motion Graphics, Playgramming, Publication Design, Semiotics and Visual Design, and Trends in Contemporary Graphic Design. A capstone project is also part of the program. Other program highlights include speakers from around the world, studio tours (at local agencies like VSA Partners, Ogilvy, Digital Kitchen, Gravitytank, and more), social mixers, and workshops through the DePaul chapter of AIGA (American Institute for Graphic Arts), dedicated presentation and exhibition spaces, a student gallery, and internship and research opportunities with a range of studios and non-profits in Chicago. Common careers for graduates of BFA in Graphic Design include visual, production, and interactive design; art direction; book, publication, and web design; advertising; motion graphics; photography; and title design (for film/TV, and games). Founded in 1869, Southern Illinois University, Carbondale (SIUC) serves 14,554 students enrolled in more than 200 majors, minors, and specifications through 11 colleges and schools. The College of Liberal Arts houses the School of Art and Design, which offers 12 undergraduate specializations and 9 master's degree concentrations. Among them is a BFA with a Communication Design Specialization. Per the school, the program “includes broad theoretical guidance along with precise instruction in typography, design concepts, information design, digital graphic technology, and industry standards required by the graphic design field.” The curriculum focuses on message content and theory in print, web, and interactive/multimedia design. Course highlights include Computer Graphics, Design Process & Presentation, Graphic Design, Print Technology, and Typography. Communication Design students have access to the schools “newly formed real-world, client-based, Design Research Studio.” The space is utilized as a teaching space, a design research space, and a client meeting space and the studio is equipped with large format scanning and printing capabilities, Wacom Cintiq interactive pen displays, web-conference capabilities, and an interactive SmartBoard. Students will graduate with a polished portfolio and hands-on experience obtained through internship and other experiential learning opportunities. Graduates of the SIUC Communication Design program are prepared to seek positions such as Art Director, Communication Designer, Creative Director, Digital Imaging Specialist, Graphic Communication Designer, Interactive Graphic Designer, Internet Communication Designer, Motion Graphics Specialist, Multimedia Designer, Multimedia Graphic Designer, Web Communication Designer, and Web Designer. Southern Illinois University, Edwardsville (SIUE) opened in 1957. The school serves close to 13,300 students enrolled in more than 273 areas of study through eight colleges and schools. The Department of Art and Design in the College of Arts and Sciences offers a BFA in Art and Design with a Concentration in Graphic Design. Other course highlights include Graphic Design History through Studio Projects, Intro to Studio: Graphic Design, Publication & Info Design, Research in Graphic Design, and Visual Identity: Logo & Branding Design. The BFA is considered the professional degree for Graphic Design as recognized by American Institute Graphic Arts. AIGA. Illinois State Normal University (ISNU) was founded in 1857 as a “normal” school for the purpose of training teachers to work in Illinois schools. The school serves 20,635 students enrolled in more than 160 degree options through six colleges. The College of Fine Arts houses the School of Art, which offers BA and BS degrees in Graphic Design. The 120 credit hour program includes 36-43 General Education courses, 54 credit hours in the major, and additional requirements. Course highlights include Contemporary Art, Digital 3-D, Graphic Design I-V, Intaglio, Life Drawing, Lithography, Modern Art, and Visual Culture. Other program highlights include a capstone experience through the school’s Design Streak Studio, located in the Center For Visual Arts (CVA), internship opportunities, and access to dozens of student organizations. Graduates of the Graphic Design program at ISNU are prepared to seek positions in Advertising, Computer Graphics, Design, Graphic Art, Illustration, Media, Publishing, and many others. Chartered in 1895, Northern Illinois University (NIU) serves nearly 17,200 students from the U.S. and 77 other countries. The school offers nearly 400 majors, minors, emphases, graduate programs, and specializations through seven degree-granting colleges. The College of Visual and Performing Arts (CVPA) consists of three schools—the School of Art and Design, the School of Music, and the School of Theater and Dance. The School of Art and Design offers a BFA in Studio Art with a Major in Visual Communication. Per the school, the program “provides an intellectually-based, professional education that focuses on graphic form and communication, cultural factors and design processes.” The core requires 78 semester hours of study. Coursework highlights include Advanced Typography, Advanced Visual Communication, Image in Visual Communication, Interaction Design, Professional Practices in Design, and User Experience Design. A senior project worth three credits is also part of the program. Founded in 1897, Bradley University is home to 5,400 students enrolled in more than 185 undergraduate programs and 30-plus graduate programs across eight colleges and schools. Slane College of Communications & Fine Arts is home to the Department of Art and Design, which offers a BFA in Graphic Design that prepares students for a career in print, advertising, electronic design, publishing, or continued study at the graduate level. The program consists of a core of six studio classes plus electives such as Design History and Web Design. Sample core courses include Designing for a Brand Experience, Editorial Design, Graphic Information Systems, Typographic Design, and User Interface Design & Development.